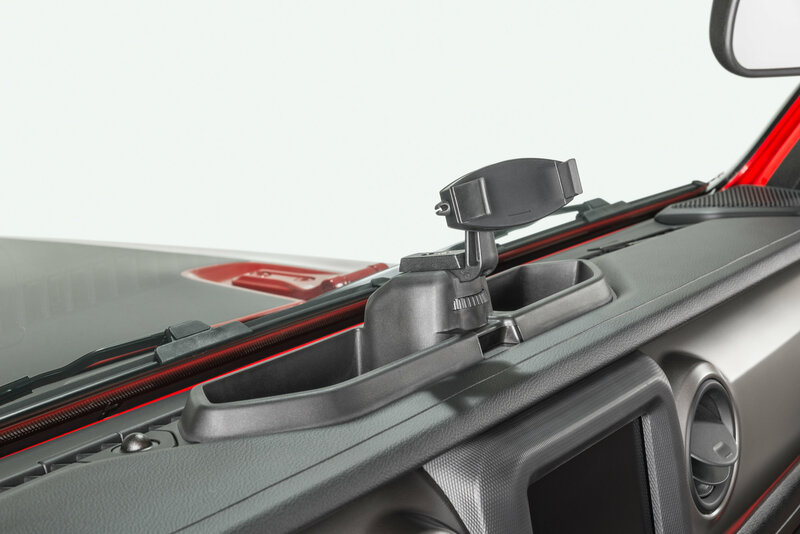 The most essential accessory for your Jeep Wrangler JL is the Dash Multi-Mount System by Rugged Ridge. This is a must have item that will get used daily and provide for a safer ride with legal hands free usage. 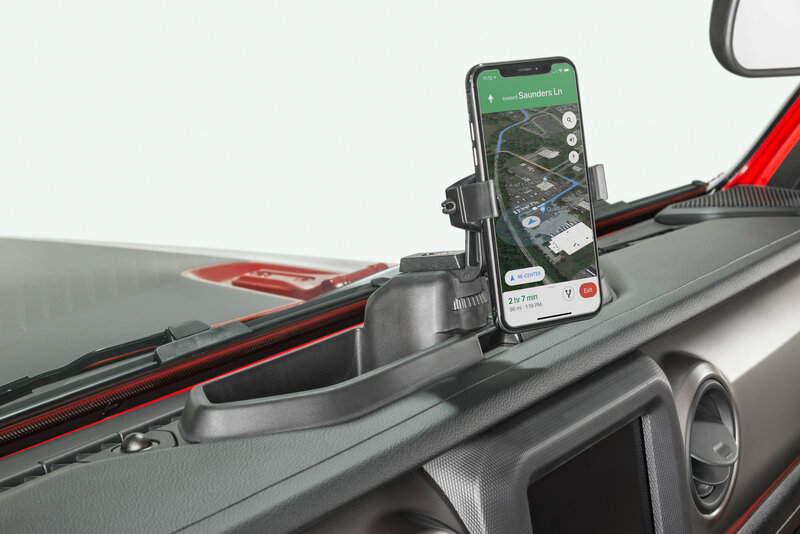 It offers an adjustable mount for your smart phone so you can easily view GPS directions and messages. 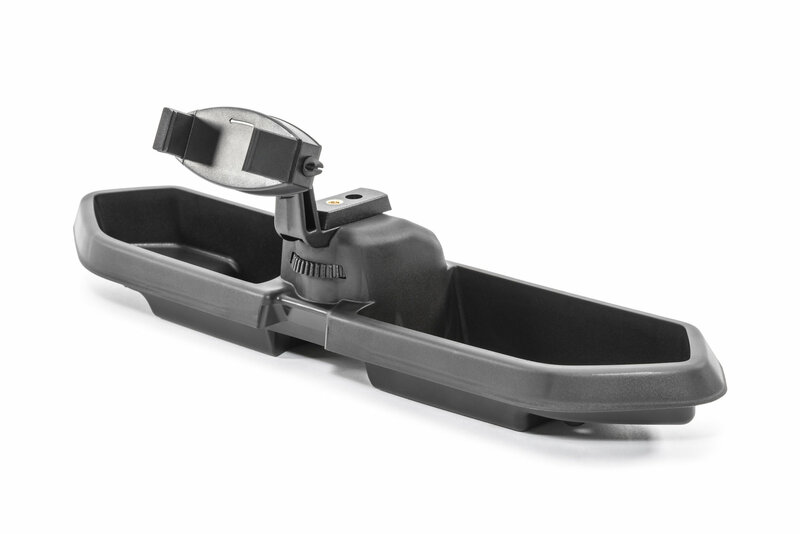 Mounted in the top center of your dash providing for quick and easy access. 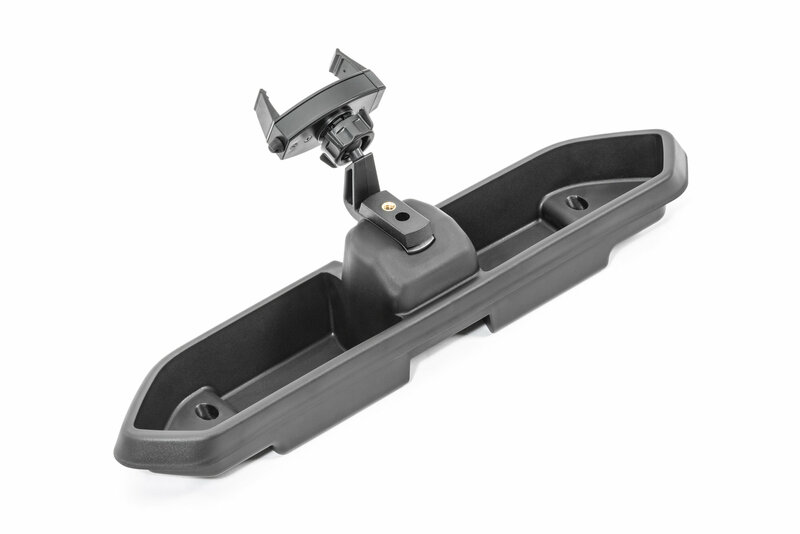 Offering a universal ball mount and a tripod stud for both POV or point and shoot cameras. The system also incorporates two large storage compartments fitting out additional storage for that loose change, candy, or whatever else you may have in your pockets. 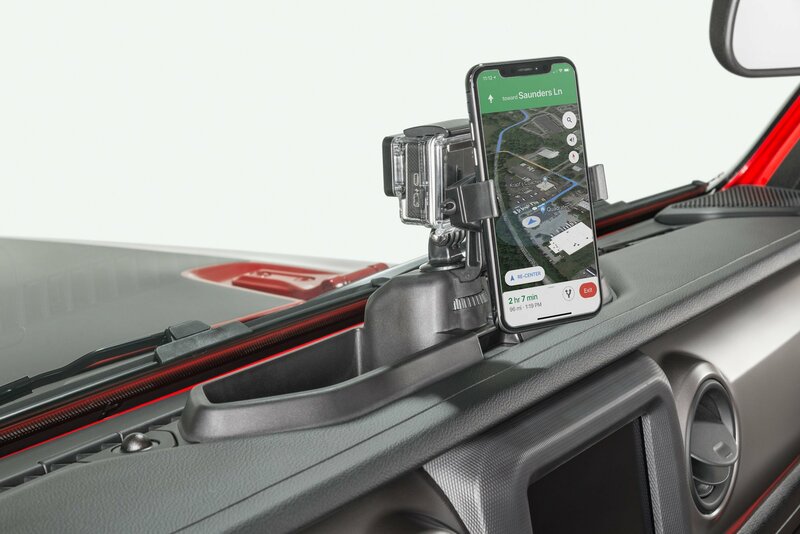 Essential JL Accessory: Allowing your smart phone to be easily viewed therefore equipping your Jeep for a safe ride. 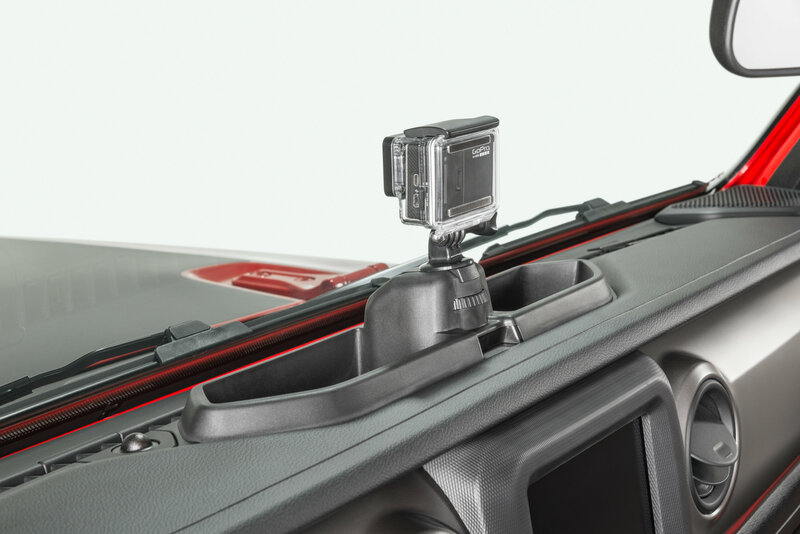 At the same time providing a camera mount to record what happens in front of your Jeep. 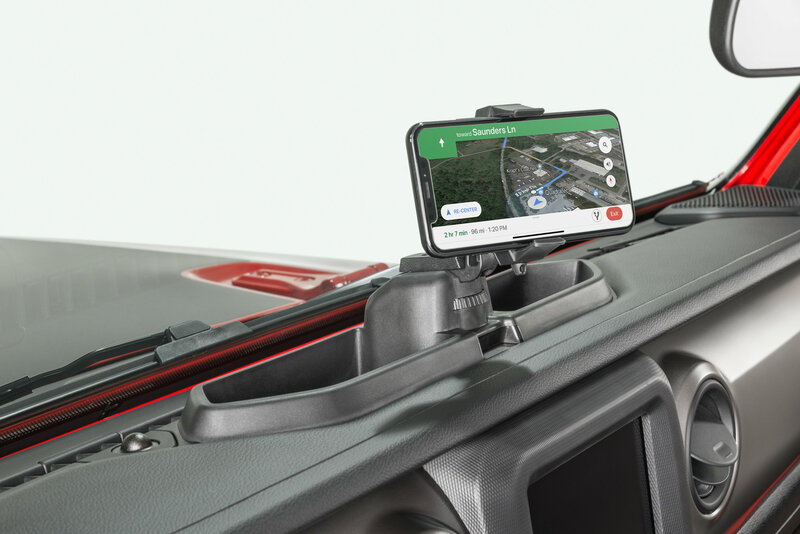 Allowing you to easily record those amazing wheeling trips or even those crazy drivers. 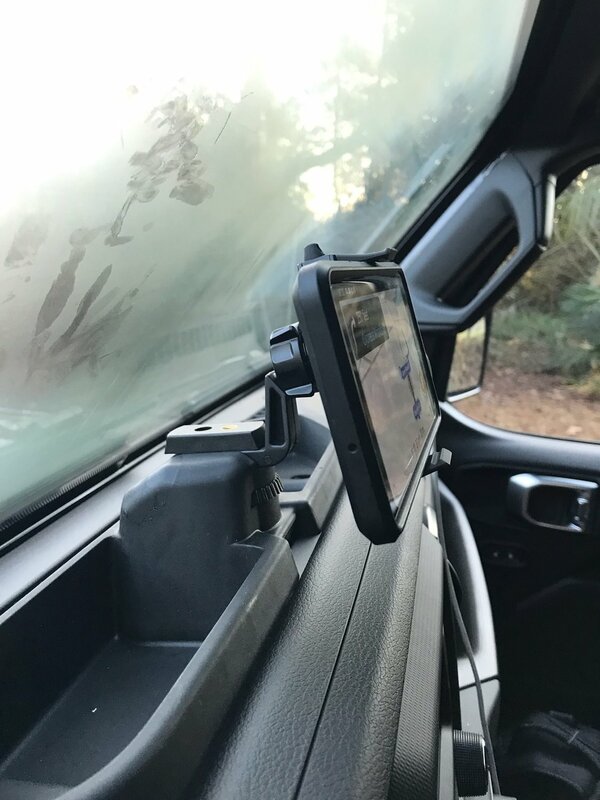 Phone and Camera Mount: Getting you safely to the trails and the ability to easily record all the action of your adventures with hands free operation. 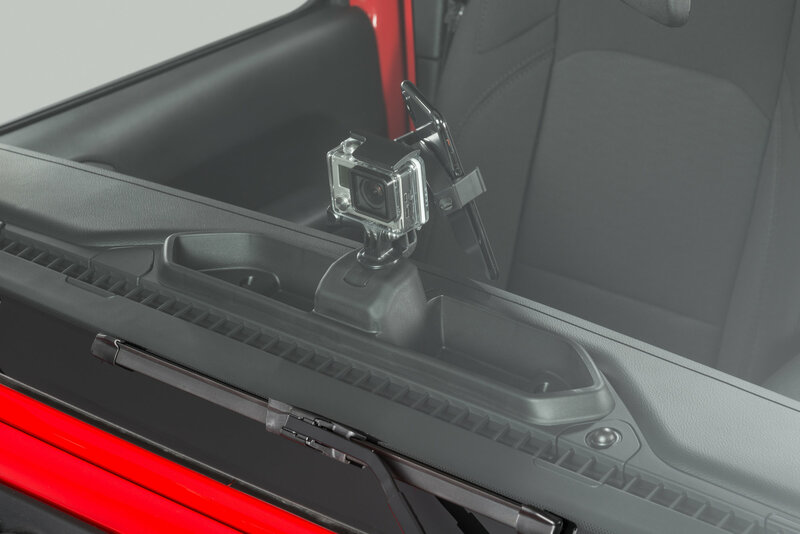 Simple Installation: A custom engineered accessory for your Jeep Wrangler JL that is essential for Jeep life. Can be installed in minutes. Additional Storage: Offering two deep storage trays on either side of the mount giving you more storage for all that loose pocket change. I drive A LOT, so this has made a big difference when using my phone's GPS. Plus, the deeper compartments hold all my junk. Being short, and having short arms, I do wish the phone holder stuck out a little farther. But a great product. I was upset to see that the price was cut in half as soon as I purchased the mount. I can see why it was reduced because the quality is very poor. The ball and socket gives your phone very minimal movement, I can’t adjust it without it popping off. Because of the angle, my phone is being held up and out when I need to be able to turn it towards me to see it clearly. I have to remove the phone mount in order to access my GoPro because the space between the two is very tight. 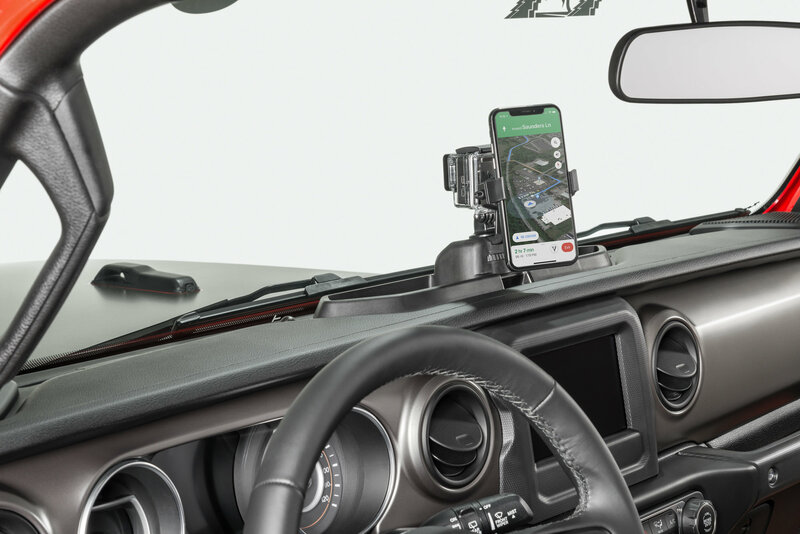 It would be nice to be able to use the original mat that came with the stock dash or have the dash mount come with one. 1. Make the arm about 1 inch longer so that the phone will clear the edge of the dash. 2. Make the ball bigger and/or the nut hole bigger so that it can articulate much farther than it does now.